The revolutionary crisis of the middle of the nineteenth century which shattered most of the European countries in protest against the political system established by the Congress of Vienna is usually associated with the memorable year of 1848, with the so-called “spring of the peoples.” It was indeed in the spring of that year that the movement started in Western Europe and in the western, German part of Central Europe. In East Central Europe, however, where the tension was deepest and the claims for national freedom even stronger than those for constitutional reforms, the crisis started exactly two years earlier, in the spring of 1846. It started with the utopian project of a Polish insurrection which would be directed against all three partitioning powers at the same time. From the outset it proved impossible to include any direct action against Russia, which dominated by far the largest part of Polish lands and where the oppression was most violent. For Nicholas I who in the thirties had already crushed all conspiratorial activities of the Poles, now succeeded, and even in the decisive year of 1848, in stopping all revolutionary movements at the border of his empire. It was therefore Prussian Poland which was selected as a basis for the new struggle for freedom. Here the prospective leader, Ludwik Mieroslawski, had already appeared in 1845. The reasons for such a decision must be explained against the background of the general situation in Prussia. As far as her policy toward the Polish population was concerned, earlier attempts at reconciliation, in agreement with the promises of 1815, had been followed by the systematic repressions of Edward Flottwell who in 1830 replaced the Polish prince, Anton Radziwill, as governor of the grand duchy of Poznan. On the other hand, not only in that purely Polish province but also in West Prussia and Silesia all government efforts toward Germanization met with strong resistance. This was not at all limited to the Catholic clergy and to the nobility, who were considered the main representatives of Polish nationalism, but it was also organized by a Polish middle class which had been formed in these western lands earlier than in any other part of Poland. It was there that the most advanced cultural, social, and economic progress had been made by the Polish people, while such progress was entirely impossible under the regimes of Metternich and Nicholas I. Even under Frederick William IV, new King of Prussia since 1840, who recalled Flottwell, only the methods of anti-Polish policy were changed. But the apparently anti-Russian attitude of the government, and some sympathy displayed by Prussian liberals, created the illusion that eventually the planned Polish action would find Prussian support. What really happened was, on the contrary, the arrest of Mieroslawski and his collaborators in February, 1846, when their conspiracy was discovered and all attempts to liberate Prussian Poland failed completely. At the same time, however, a real tragedy took place in Austrian Galicia. Alarmed by preparations for a Polish insurrection which had also started there, the Austrian administration incited the peasants to rise against the noble landowners in some districts of western Galicia, promising rewards for the killing or capturing of any of them. The peasants were told by the Austrian bureaucracy that the nobles wanted to restore old Poland only to enslave them, while the emperor was ready to abolish serfdom completely. As a matter of fact it was precisely the leaders of the insurrection who, though of noble origin, like the eminently prominent Edward Dembowski, had the most advanced ideas of social reform. Their radicalism was best evidenced when at the end of February they seized power in the free city of Cracow, where Jan Tyssowski, later an exile in the United States, was proclaimed dictator. But his inadequate forces were defeated by the Austrians, Dembowski was killed, and after a brief Russian occupation the republic of Cracow was annexed by the Austrian Empire. Even that obvious violation of the treaties of 1815 was accepted by the Western powers which in spite of the aroused public opinion in France and England limited themselves to weak diplomatic protests. And a new wave of violent repressions set in, both in Galicia where the new governor, Count Stadion, tried to play off the Ruthenians against the Poles, and in Prussia, where in December, 1847, Mieroslawski and seven of his associates, after a long imprisonment, were sentenced to death. But before they could be executed, the outbreak of the 1848 revolution opened entirely new prospects not only for the Poles but for all the submerged nationalities of East Central Europe. As a matter of fact there were several revolutions in 1848, not only in different countries but with different objectives. In the French February Revolution, the issues were exclusively constitutional and social, but just as in the case of the great Revolution of 1789, the general ideas of liberty which were spreading from Paris all over Europe had a special appeal for those peoples who were deprived not only of constitutional freedom—and this in a degree much greater than under Louis Philippe’s French monarchy—but also of their national rights. Hence the growing excitement in various foreign-dominated parts of Italy and particularly in the non-German parts of Prussia and Austria. Not later than in March there appeared in both monarchies a rather confusing combination of nationalist movements and general revolts against autocratic regimes. In Prussia, in spite of the disappointments of 1846, the situation of that year seemed to repeat itself so far as the Polish question was concerned. The liberation of Mieroslawski and his friends by German crowds in Berlin was very significant in that respect. Returning to Poznan, the Polish leader also returned to the plan of a war against czarist Russia with the support of a liberalized Prussia, whose new minister of foreign affairs, Baron H. von Arnim, was in favor of such a conception. The latter was also supported by Prince Adam Czartoryski who came from Paris to Berlin. But all these plans were doomed to failure for two different reasons. First of all, a war against Russia was seriously considered in Prussia only so long as there was fear of Russian armed intervention in the German revolution and a prospect of the active cooperation of other powers. But Nicholas I, well advised by his ambassador in Berlin, remained passive, while the ambassadors of Britain and even of revolutionary France made it quite clear that the Western powers did not desire a conflict with the czar any more than Austria, who was involved in her own troubles. On the other hand, the impossibility of Polish-Prussian cooperation became obvious as soon as the “national reorganization” of at least the province of Poznan was considered. Contrary to the initial promises of the government, any administrative reform in favor of the Poles who hoped for complete separation from Prussia was opposed by the German minority. 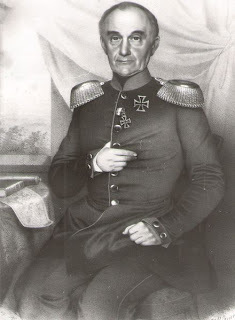 A compromise negotiated by General Willisen, as royal commissioner, was rejected by both sides, and after a decree which announced the division of the grand duchy into a Polish and a German part, open fighting started with the result that on May 9, 1848, the insurrectionary Polish forces had to capitulate. There followed a violent anti-Polish reaction under the new commissioner, General Pfuel, who was even ready to cede to Russia a part of the Poznan province. Finally such drastic changes were abandoned, but even the Frankfurt Parliament, where a few liberals had spoken in favor of the Poles and the reconstruction of their country, fully approved Prussia’s policy in the name of a “healthy national egoism.” Such an attitude was in agreement with the general program of German nationalism which in 1848 claimed the unification of all German states in one empire, whether under Prussian or Austrian leadership, but which also wanted to include many non-German populations that were under the control of both these powers. In the case of the Habsburg monarchy, such an approach had implications of a much larger scope, affecting at least all those possessions of the dynasty which in the past had belonged to the Holy Roman Empire and which since 1815 had been included in the German Confederation. For that very reason the Bohemian lands were invited to send representatives to the Frankfurt Parliament, a claim which was rejected in the name of the Czechs by the historian Palacky, who now became the political leader of the nation. Nevertheless, when in March, 1848, almost simultaneously with the revolution in Berlin, a similar movement broke out in Vienna, here too at the beginning there seemed to be a possibility of cooperation among all those who, irrespective of nationality, had suffered under the Metternich regime. This cooperation was to include Austrian Germans, who were chiefly interested in constitutional reforms and other peoples who hoped that under a liberal constitution their national rights would also receive consideration. In Austria, too, the Polish question, which had received such a harsh blow two years before, was immediately reopened, and in Galicia, as in Prussian Poland, concessions were made at the beginning of the revolution. These included the creation of national committees in Cracow and Lwow, and the raising of hopes for a reconstruction of Poland in connection with the Habsburg monarchy. But there was even less chance of cooperation against the Russian Czardom—the main obstacle to such a reconstruction—than in Prussia. On the contrary, on April 26 Cracow had already been bombarded by the Austrian commander, and when Polish activity was transferred to the eastern part of Galicia, the Austrian government favored the claim of the Ruthenians. This was to cut off that part of Galicia as a separate province with a Ruthenian majority. In November drastic anti-Polish measures also set in there. Lwow, too, was bombarded. The first Pole, Waclaw Zaleski, who had been made governor of Galicia, was recalled, and although the partition of Galicia did not materialize, the whole province was again subject to efforts of Germanization and to strict control by the central authorities. Here, however, the analogy with the fate of Prussian Poland ends. In the multinational Austrian Empire the Poles did not limit themselves to another abortive uprising in their section of the monarchy, but took an active and sometimes a leading part in all other revolutionary movements, including even that of the Viennese population. A first important step was the Polish participation in the Slavic congress which was opened in Prague on June 2. Like the whole earlier purely cultural phase of Pan-Slavism, that congress, naturally under Czech leadership, had nothing in common with the later development of that trend which was sponsored by Russia. Except for the isolated extremist Bakunin, who hoped in vain to use Bohemia as a basis for a communist revolution, the Russians were conspicuously absent from the congress. There was indeed in Prague a difference between conservative partly aristocratic leaders who were defending traditional regionalism, and a liberal, even radical, majority. There were also individual delegates from outside the Habsburg monarchy. But all of them represented those Slavic peoples who, crushed between German and Russian imperialism, hoped that a reorganization of that monarchy on democratic principles would give them a chance for free development. In spite of such a positive attitude toward Austria, whose existence even Palacky considered indispensable in that phase of his activity, the imperial authorities were suspicious. In Prague, as in the two Polish cities, the end was a bombardment, the congress being dispersed. In addition to that hostility of the military and bureaucratic elements in the central government, however, there was another difficulty which made the Slavic congress and its whole program end in failure. It had already appeared during the deliberations that the Slavs, though a majority in the Habsburg monarchy, were not the only non-German group which had to be taken into consideration in any reform project. Besides the Italian and Rumanian question of a rather special character, there was the big issue of Hungary with her Magyar leaders and her own nationalities problems.